Edinburgh is the perfect destination for a family city break. Compact and walkable, the big attractions are right on your doorstep. From ghosts and ghouls, castles, to famous, adorable pandas – here is Kate from Love From Scotland’s favourite family things to do in Edinburgh. 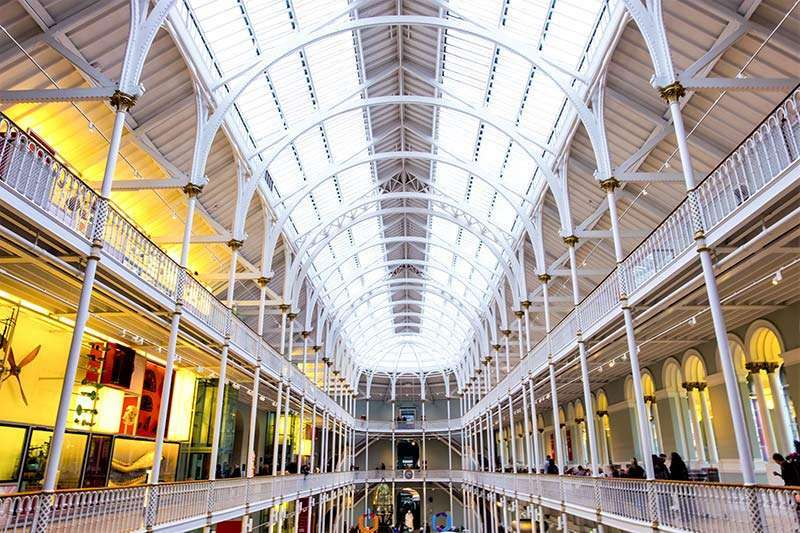 The National Museum of Scotland on Chambers Street isn’t your traditional museum. It’s next generation, stuffed full of interactive exhibitions for kids (and adults) – drive a F1 car, generate electricity by running around in a giant hamster wheel and marvel at the animals in the Natural World Gallery. I still wonder how they got a whole train into the building! Edinburgh’s oldest visitor attraction Camera Obscura and World of Illusions is next to the Castle on the Royal Mile. Giggle at optical illusions, get lost in the mirror maze and dare each other to go through the Vortex Tunnel. At the top of building, the rooftop camera or ‘camera obscura’ will take you on a virtual tour of the city. Hidden under the Royal Mile is The Real Mary King’s Close. Descend underground and explore a warren of Edinburgh streets (closes) frozen in the 17th century. Learn about Edinburgh’s stranger characters and traditions including what happens if someone shouts ‘gardy loo’ – yes you will all be sniggering at poo. Did you know Edinburgh has two castles? At Edinburgh Castle you can find out about the Scottish Kings and Queens, view the Scottish Crown Jewels and the Stone of Destiny. To the east of the city is Craigmillar Castle. Managed by Historic Scotland, Craigmillar’s medieval ruins are some of the best preserved in Scotland – and great for kids to run around and explore. The city has a rather macabre past, which means lots of ghosts and ghouls but definitely worth exploring! For older children, who don’t mind a scary story or two, take an evening Ghost Bus Tour or visit the Edinburgh Dungeons. For those who are very brave, head to the spooky, most haunted (probably) graveyard in the world, the Greyfriars Kirkyard – but watch out for MacKenzie the Poltergeist! There’s more to Edinburgh Zoo than its famous pandas. At the top of the zoo is a fabulous new tiger enclosure, the world’s most innovative chimp enclosure – the Budongo Trail, and every day at 2.15pm the penguins leave their enclosure to go on parade. Watch out for Sir Nils Olav, a penguin brigadier of the Norwegian guard! For hands on animal encounters, head to Gorgie City Farm, an Edinburgh institution for over 30 years. Meet pigs, ride a horse, or just feed the ducks. Whilst entry is free, donations are welcome. For kids who prefer animals of the more creepy crawly variety, Edinburgh Butterfly and Insect World, is just south of the city centre. Daily interactive talks allow kids to hold snakes and spiders. Edinburgh is a city made for strolling. 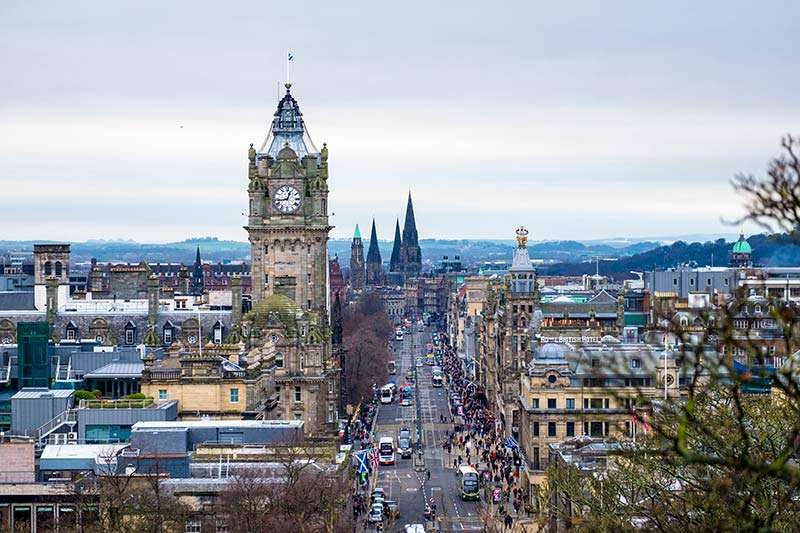 Wander down colourful Victoria Street to The Grassmarket, kids will love the shop window of Oink, and Mary’s Milk Bar does the best ice cream in town. Stockbridge has a lovely family friendly market on a Saturday morning, and some of the best brunch spots in the city, perfect after a stroll along the Water of Leith Walkway. To the north of the city is Edinburgh’s waterfront. Better known by locals, it’s a great way to spend a morning. Walk, cycle or skate along Silverknowes Promenade and cross the causeway to Cramond Island. To the east, Edinburgh also has Portobello beach with it’s cafes and arcades, good old fish and chips, it’s a nice way to spend an afternoon – or long evening. Still got energy to burn? 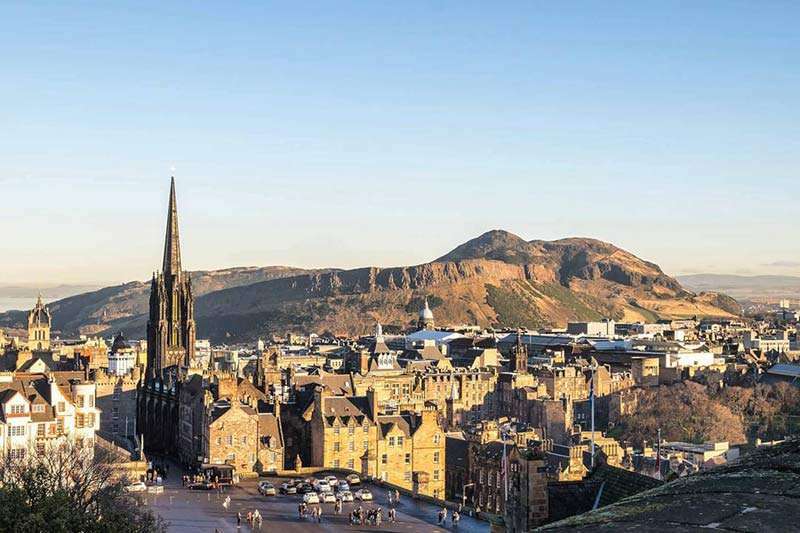 Climb Arthur’s Seat or The Crags in Holyrood Park for a fantastic view of the city. Just tell the kids it’s a volcano – they will be up in a flash. Forget the perception of the late night festival revelry, which is fun on a trip without the kids. Edinburgh boasts some of the best children’s festivals in the world. The Edinburgh Science Festival is in April and Imaginate, the Children’s version of the Edinburgh Festival is the June. If you are heading to Edinburgh in August, both the Fringe Festival and Book Festival also put on shows and talks especially for children. Edinburgh has free wifi in the city centre, useful for booking tickets in advance – and skipping queues! A map of all the public loos available in the city can be found on Edinburgh Outdoors – handy if you are exploring. Watch out for the cobbles! Whilst Edinburgh is accessible, the cobbles can make for a bumpy ride. This is Edinburgh have more information on accessibility. Getting around is easy with Lothian Buses. Family day tickets are £8.50 giving you all day travel for 2 adults and up to 3 children. Buses have a designed buggy space. Download their app for routes and a bus tracker. Always thank your driver! 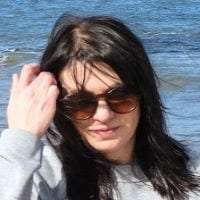 Kate is the author of Love From Scotland, a Scotland blog based in the beautiful city of Edinburgh. When she isn’t discovering, and writing about the best things to do in Edinburgh, you will probably find her bagging a Munro or going on a Scotland adventure. You can follow her on Facebook and Instagram.